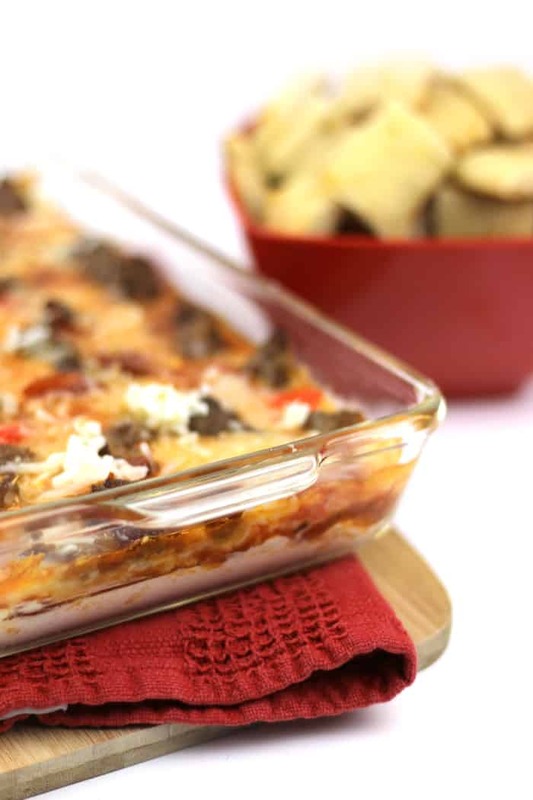 Sausage Pepperoni Pizza Dip is the true winner of any game day celebration. 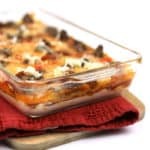 Make garlic pizza crust bites to scoop up these hot layers of cream cheese, pizza sauce, mozzarella cheese, pepperoni and Italian sausage. Somehow, football season is coming to a close. 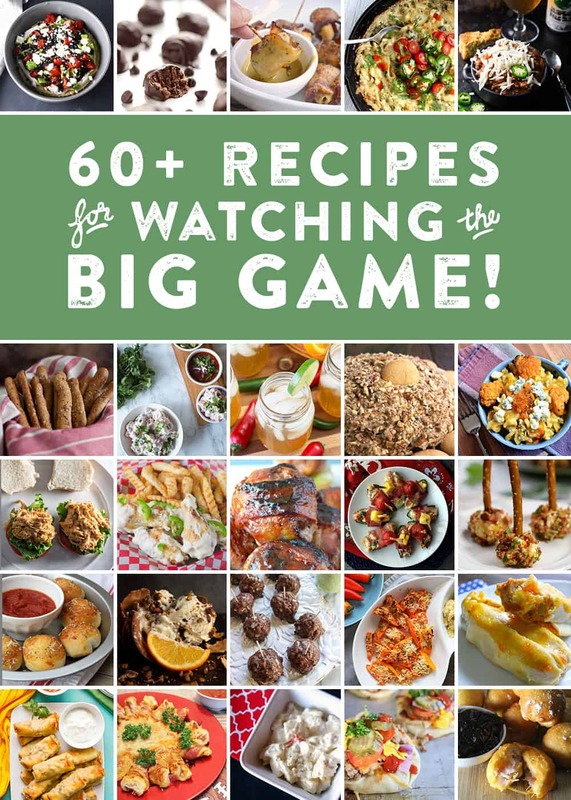 The Big Game is just weeks away! It was super nice, though, to be invested in the big championship for my team. In other years, I’ve only been in it for the commercials, maybe even the halftime show. Sometimes, I’m just in it for a chance to hang out with friends over food, drinks and football. This year, I’ll be watching at a friend’s house, and I know I’ll be bringing this Sausage Pepperoni Pizza Dip along with a batch of homemade garlicky pizza crust bites. 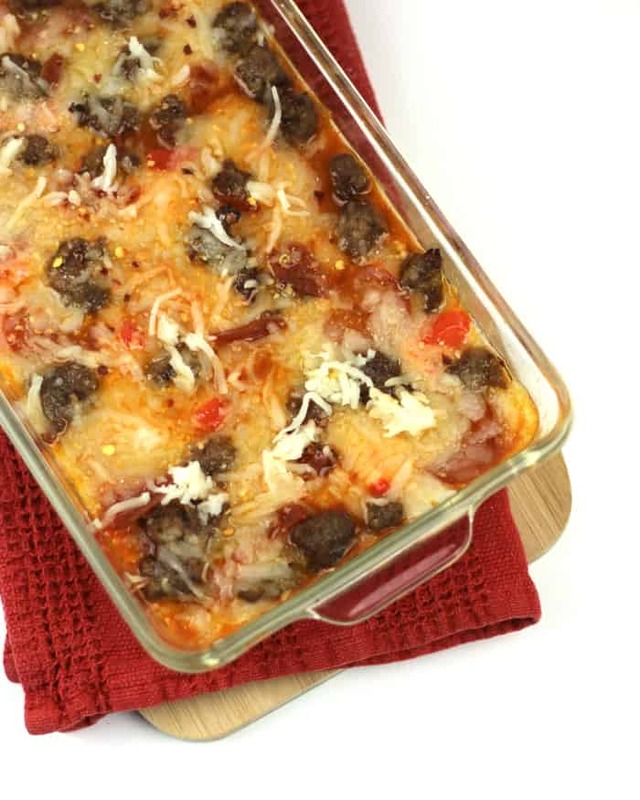 This Sausage Pepperoni Pizza Dip is based on one my mom makes sometimes. I was a big fan of it in high school, and I learned how to make it rather quickly. You could even say it was one of the first appetizers I learned to make. 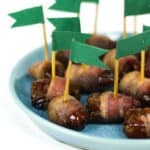 This appetizer is seriously easy to make, and you can tailor it any way you like with your favorite toppings. Chris and I always order sausage and pepperoni on our pizza, so that’s what I went for this time. 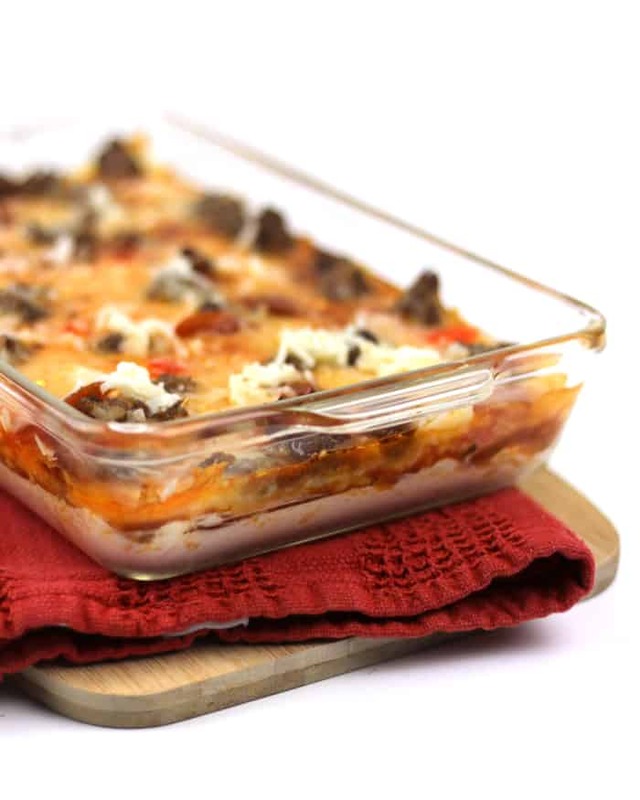 Start with a layer of cream cheese and top it with pizza sauce. Then add mozzarella cheese and whatever toppings you desire. I also sprinkled on some diced red peppers and more cheese before popping it in the oven. 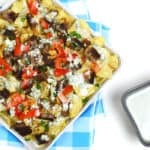 In a sense, it’s a deconstructed pizza, right down to the homemade pizza crust bites to enjoy it with. You can make those with your own pizza dough or pre-made. 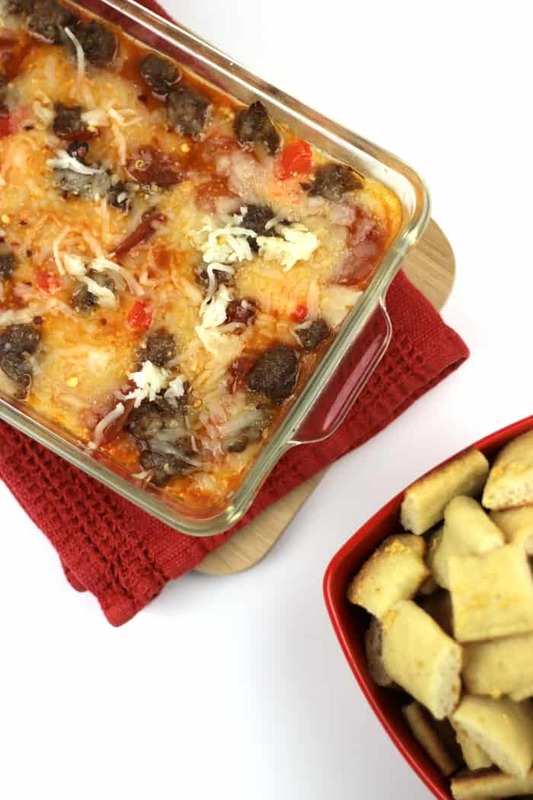 Whether you’re Team Football, Team Commercials or Team Halftime Show, this Sausage Pepperoni Pizza Dip is sure to be a winner with anyone you’re watching the Big Game with! 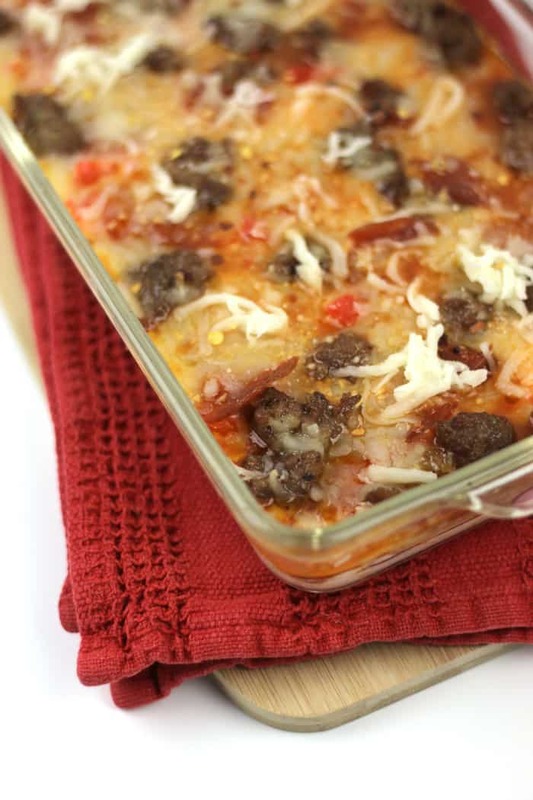 Pin this Sausage Pepperoni Pizza Dip! GAH, it’s like you know all my favorite foods all the time! I normally don’t crave savory things this early in the day, but I could totally dig into a pan of this dip right about now! This looks so yummy! 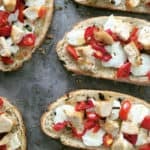 I’ll definitely be trying it with some gluten-free bread! 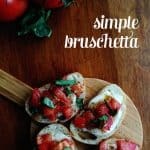 never tried these ingredients with cream cheese, nice addition, thank you for the recipe!